A very informative 2 hour Paris sightseeing tour commented by your driver-guide through the city to admire the highlights of Paris. The Eiffel Tower: the "Iron Lady" inaugurated in March 1889 to celebrate the centenial of the french revolution. Your expert gide will give you all the details and secrets of the construction of the tallest building in the world until the construction of the Empire State building in New York. Trocadéro: a hill overlooking the river and the best place to take pictures of the Eiffel tower. The Opera house: the theater that inspired Gaston Leroux to write his novel the "Phantom of the Opera". Built from 1862 to 1875 the Opera house is probably one of the most beautiful monument in Paris after renovation with its gilded statues and the ceiling of its dome painted by Marc Chagall. The Champs-Elysées: the 2 kilometer long avenue between the Arch de Triomphe and the Concorde square where parisians celebrate he Bastille day and new year's eve. Arch de Triomphe: 30 years to built the masterpiece of Napoleon I who erected this monument to commemorate his victory against the austro-russian coalition in Austerlitz. 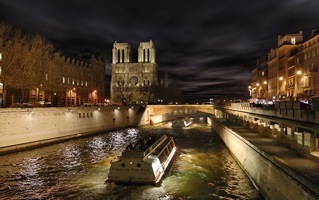 Notre-Dame: built in 1163, the cathedral has just celebrated 850 years in 2013 and received 9 brand new bells. Your guide will organize a photo stop that you can visit the inside of the church. 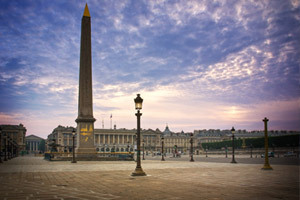 Vendôme Square: a "jewell" of classical architecture located between the Opera theater and the Concorde. Your guide will tell you the story of the column built with melted canons. The Louvre: a former residence of the kings of France until the revolution when was decided in 1793 to transform the palace into a museum open to the people. 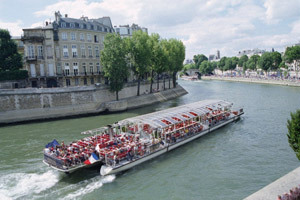 The Seine River banks: a lot of monuments are located along the Seine river that divides Paris in two parts, the right and left bank. 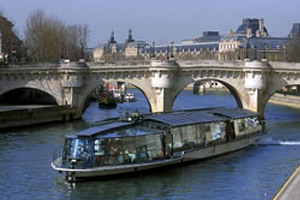 We will show you the french institute and the Pont Neuf the oldest bridge in Paris. The Invalides: the burial place of Napoleon I where his tomb can be seen under the gilded dome of Saint Louis' church built under King Louis XIV. Madeleine church: a very singular architecture for a catholic church without windows that looks like a greek temple! Concorde square: your guide will show you the the place where Queen Marie Antoinette and King Louis XVI were executed in 1793 during the revolution. Orsay Museum: the 1900 train station transformed in 1986 into a magnificent museum.